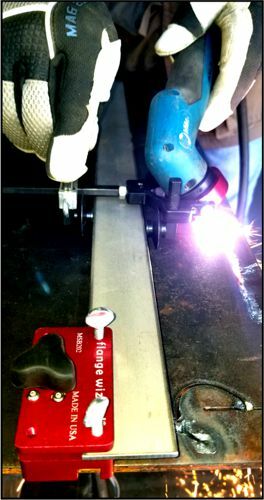 Flange Wizard‘s new burning guide is designed to not only cut straight, irregular shapes and circles, but also bevel them at the same time. 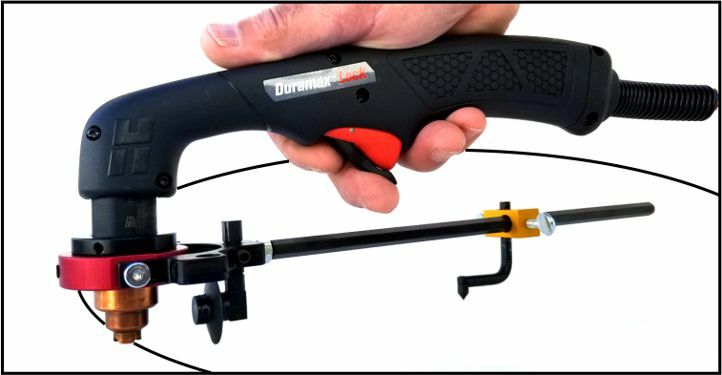 The new improved design makes height adjustment and setting the head at the proper angle for beveling a simple job for the beginner as well as the journeyman. 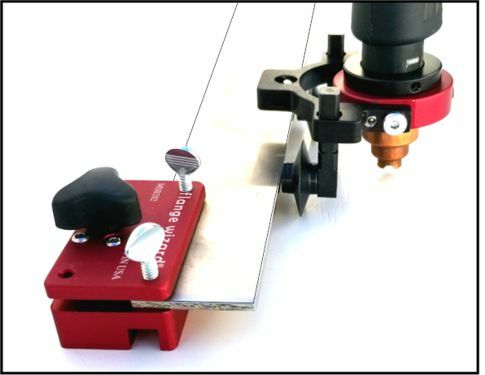 The wheels can be adjusted for straight, irregular shapes, or circle cuts. 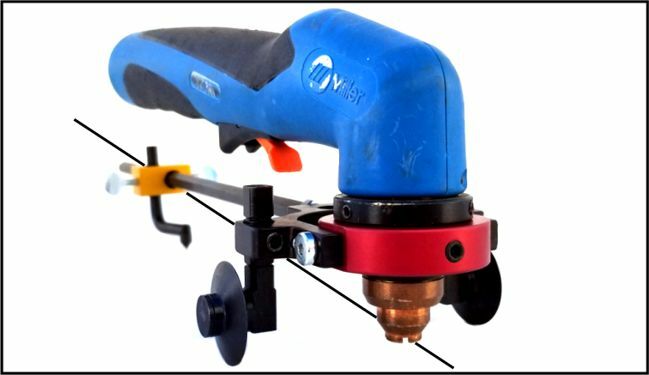 The new design allows you to use the third wheel in conjunction with our Magnetic Torch Guide model #MSG230 for precision burning or beveling edges of plate, beams, channels, etc. 15-1/2” extension (p/n 3311-EX) is available for larger circles. 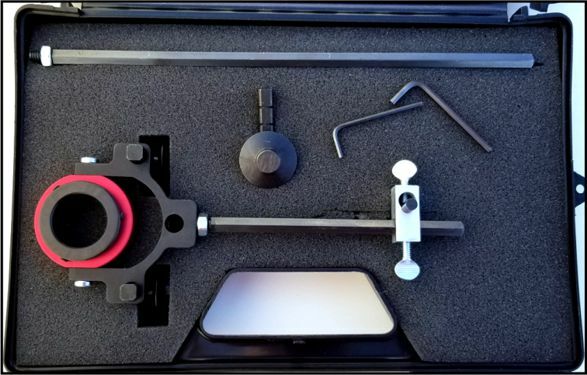 The head of the new guide will now lock in place for straight 90 degrees or bevel cutting at 37.5 degrees. Cut 7″ to 37″ Dia. circles when beveling inside and 7″ to 40″ Dia. circles when beveling outside. Cut 3-1/4″ to 39″ Dia. circles with regular set up.